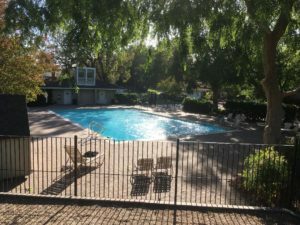 Walnut Country offers three heated pools and one heated kiddie pool (at the Main Pool) for the exclusive use of its residents. Pool availability dates and times are subject to change without notice. Please check the WCST schedule as noted below for the dates and times the swim team has exclusive use of the Main Pool area. To use the Main and Side Pools you must have a pool key fob and your CHOA badge. All swimmers swim at their own risk. No swimmers under 14 years old may swim without adult supervision. No lifeguards are on duty. The East and West Pools will open in a few months. No lifeguards on duty at any side pools so no swimmers under 14 years old may swim without adult supervision. The following list of Rules are highlights and not all inclusive from the CHOA Rules Booklet. Please review the Rules Booklet before using the pool. A homeowner may enter the pool only using an assigned CHOA pool key and have a CHOA ID badge. Nobody may allow another pool user to enter the pool area by “piggy-backing” or following someone before the gate door closes. 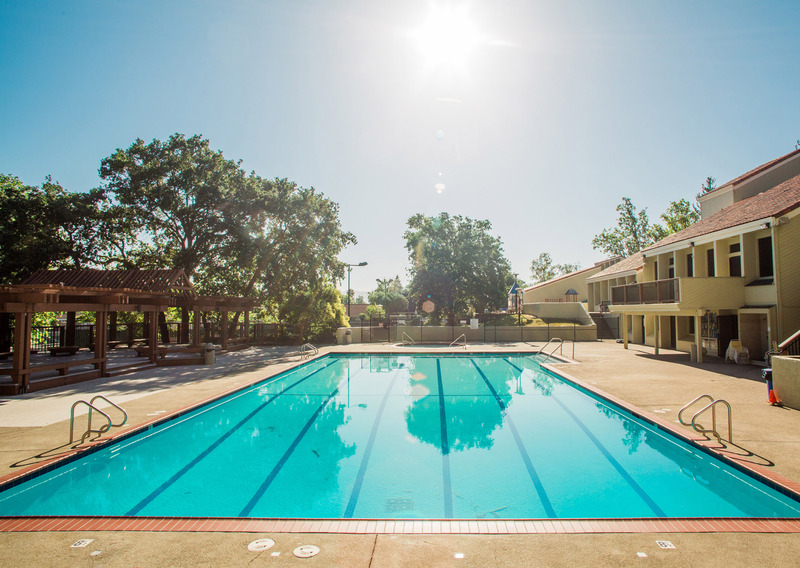 Upon entering the pool area after 12p, the homeowner must sign-in on the attendance sheet that is with the lifeguard. A homeowner is allowed up to five guests at the Main Pool by bringing their five assigned guest passes. Additional one-day passes may be purchased at the Clubhouse. 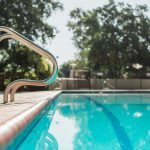 Nobody under the age of 14 years old may enter the pool area unaccompanied by a parent or responsible adult, unless the 14-year-old has a swimmer badge. Swimmers (residents and guests) who are between 8 and 14 years of age, pass the swim test (see below), and have written authorization from their parent or guardian will be given a guest swimmer badge. A guest may accompany a member who has a swimmer badge without a parent in attendance when a lifeguard is on duty. The swimmer badge test is given during a lifeguard’s 15-minute rest period as available. More information is in the CHOA Rules Booklet. All pool users must adhere to lifeguard instructions at all times. No alcohol allowed within the pool area. Food and drinks are allowed no closer than five feet from the pool edge. Only authorized staff may give swim lessons at a CHOA pool. CHOA Board-approved lessons are given at CHOA pools for a fee. Contact the Clubhouse for swim lesson information. When a lifeguard is on duty, rest periods occur every 15 minutes so that chlorine and pH levels may be checked and recorded. All swimmers between 4 and 18 years old must exit the pool and not stand near the edge. Swimmers less than four years old may remain in the pool under the watch of a parent or responsible adult in the pool too. No unreasonable noise, including, music is allowed in the pool area. No profanity, or abusive/offensive language is allowed in the pool area.